This facial cream provides weightless hydration plus sebum-control. It calms surface inflammation and regulates oily shine while offering a flawless foundation for makeup application. Rare and precious Argan oil is light but rich with a spectrum of antioxidants, like Vitamins A and E. It is loaded with complexion-loving Omega-6 fatty acids, and Linoleic acid, and absorbs rapidly to boost cell production, which is essential for any anti-aging product. White Willow is anti-inflammatory and prevents pore congestion for a clear, glowing complexion. A wealth of organic, bioavailable botanicals support these powerful ingredients for a formula that quells breakouts while delivering the nutrients your skin needs to truly thrive. To Pangea, a great moisturizer is the foundation of any skin care ritual. It should be equal parts protector, harmonizer and enhancer and the high alchemy of Earth’s most exquisite botanical ingredients. It must bring joy and pleasure to the senses, and should only ever enhance your light. We know that’s a tall order — and this weightless, soothing face cream, formulated for oily-to-blemish-prone skin, delivers on all. To optimize its effects, use both morning and night. Mattify and Prevent: Formulated for oily to blemish-prone skin, this Facial Cream offers select bio-available ingredients that provide weightless hydration plus sebum-control. This formula helps calm surface inflammation while nourishing and protecting with powerful antioxidants and essential fatty acids that help revitalize damaged skin. Beneficial both morning and night, this Cream perfectly targets the oily skin type by offering the ideal amount of moisture without added surface oil. Added bonus: a flawless foundation for makeup application. Nourish and protect your precious face with the highest quality organic nutrients and botanicals that nature has to offer. This unique botanical extract blend contains rich fractions from Saw Palmetto and Sesame in a base of Moroccan Argan Oil. It offers a perfectly balanced polyphenol ratio that helps to control and reduce shine from excessive oil production, especially in the T-zone area of the face. 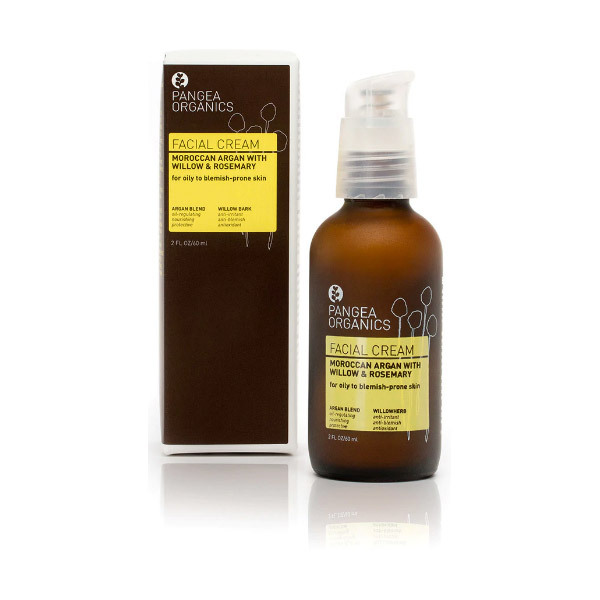 Argan boasts many skin benefits with its exceptional antioxidant, carotene and essential fatty acid content. It supports natural collagen and elastin retention with its supreme hydrating properties while also providing natural antiseptic benefits to keep blemishes at bay. All Argan sold today is produced by a women's cooperative that shares the profits among the local women of the Berber tribe. Clinical Study: A statistically significant decrease of 46% in severity of seborrhoic skin condition (excess oil production) was shown the by clinical assessment of this botanical blend after 90 days of treatment.